A Nantucket native, Hollis is one of just eleven students who graduated this past June from the North Bennet Street School’s (NBSS) heralded Preservation Carpentry program. He is the 2017 and 2018 recipient of the NPT’s Mary Helen and Michael Fabacher Scholarship. Carpentry has been a part of Hollis’ life for as long as he can remember. Family and friends worked in the trades on Nantucket, and Hollis has experience in many different aspects of homebuilding. Prior to enrolling in the Preservation Carpentry program, Hollis worked as a carpenter, including on some traditional projects with Pen Austin. With Nantucket’s high concentration of historic homes, Hollis knew a program in preservation was the right next step in his career. Preservation Carpentry first-year students learn basic woodworking skills in the shop, with an emphasis on the use of hand tools. “We applied some of the basic timber framing we learned in the first year to a first period home. That was incredible,” Hollis says. 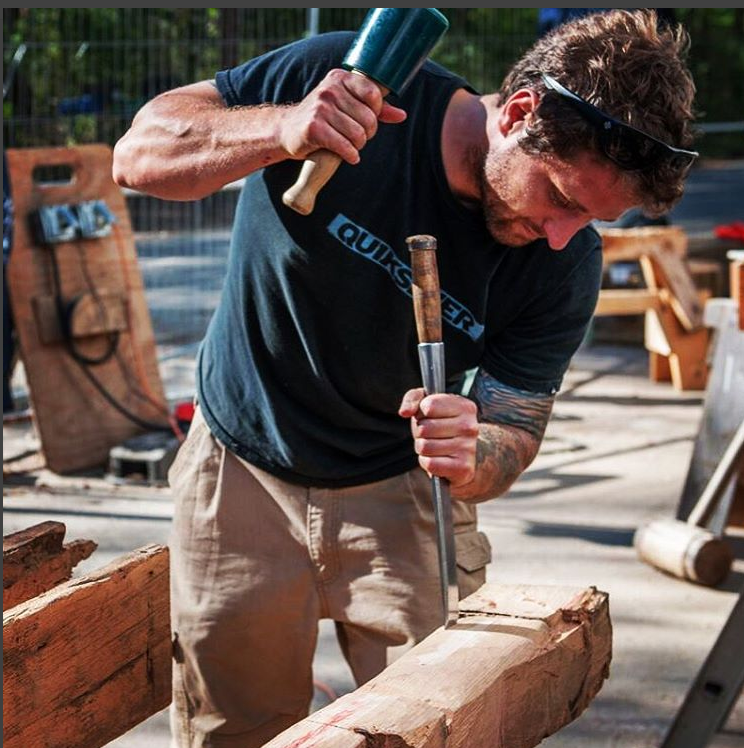 At the Nantucket Preservation Trust, our doors are always open to help you learn more about the history of Nantucket’s architecture, or about our scholarship programs for students who want to learn traditional trades. This article originally appeared in the 2018 issue of Ramblings. You can read the full magazine online here. Previous PostA Stroll Down Old North WharfNext PostTwo New House Markers!